In the last week in October, we organized a reading and recycled art fair at the 15 de Septiembre school, where all of our programs began. There were students, parents and teachers from four different schools that joined together to share their talents and their passion for reading and arts. Each school did theatrical presentations of their favorite books and also created works of art made from recycled materials. 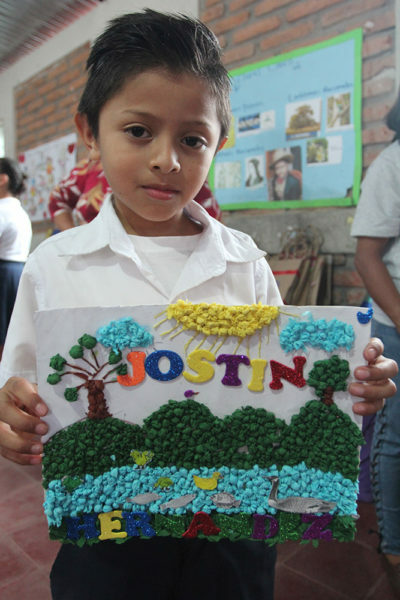 We have continued to work to organize reading clubs in each of the 18 schools that we serve. Reading is one of the most fundamental pillars of education. If students don’t develop reading comprehension skills in their first few years at school, the likelihood of their abandoning school before finishing the sixth grade is much greater. The fair was a great success, with more than 150 children and adults in attendance. A gallery was set up to display the art work from each school. The pride on the children’s faces was priceless as the visitors viewed their creations. These activities help to build self-esteem and confidence in children, which has an enormous impact in their lives.